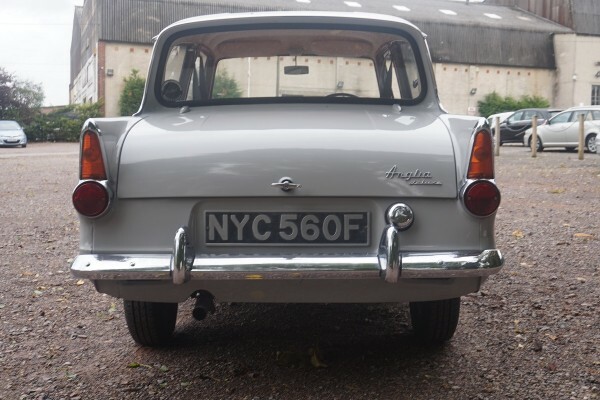 The fourth Anglia model, the 105E, was introduced in 1959 and ran until 1968. 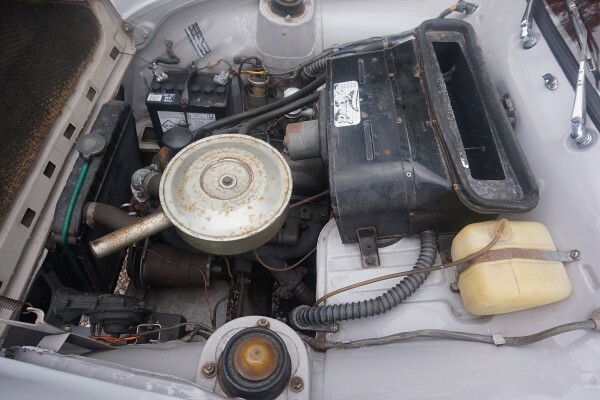 The 105E included a new 997cc engine with overhead valve (OHV) straight-4 with an oversquare cylinder bore along with a four-speed manual gearbox with synchromesh on the top three forward ratios. 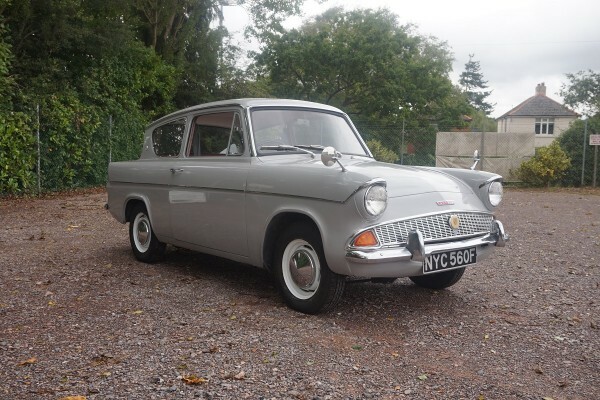 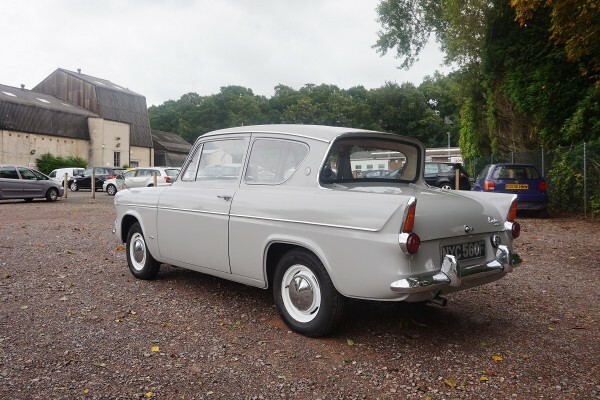 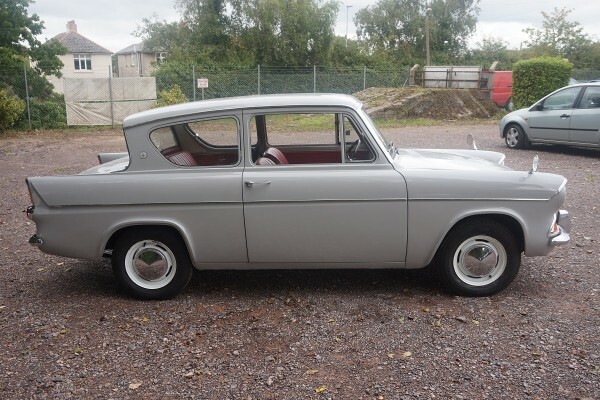 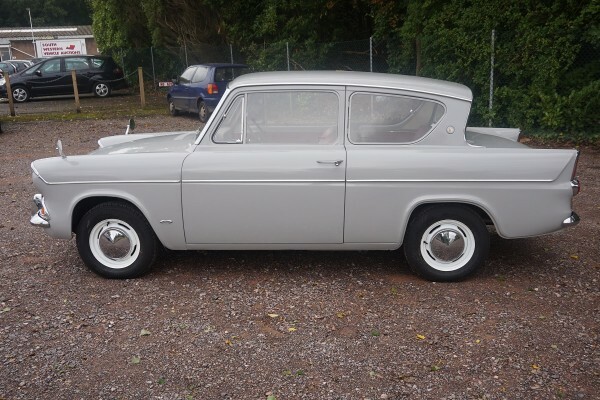 This Ford Anglia 105E is finished in grey with red leather interior and is in very nice condition. 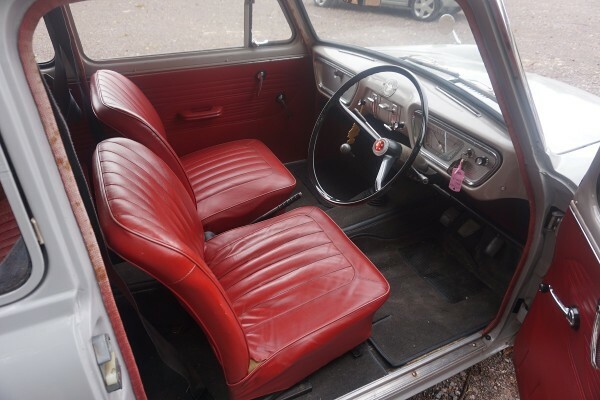 New battery, 4 new tyres, new front and rear window rubbers, new carpets. 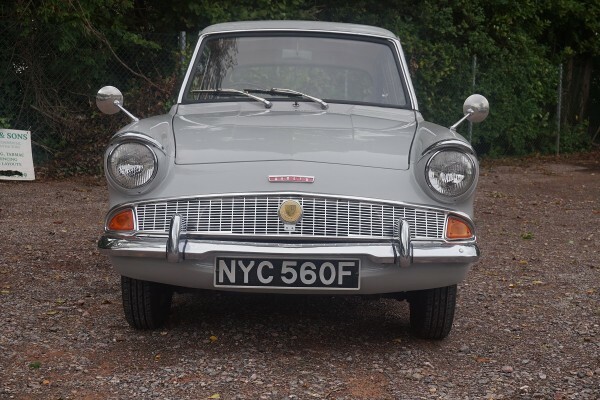 Some old MOT’s and invoices, Current MOT with no advisories. 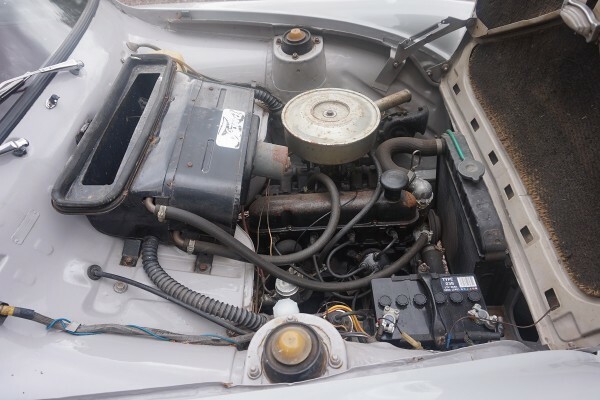 Vendor has known the car for 30+ years previous to his ownership of 8 years. 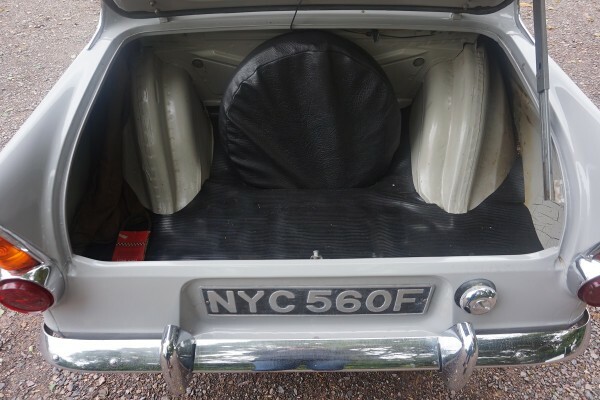 Fitted under wing shields from new. 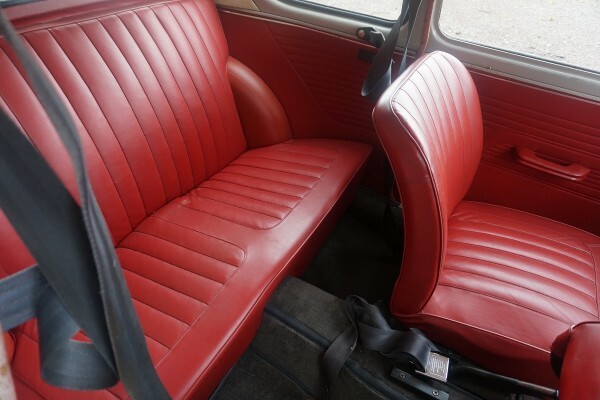 3 owners + husband and wife. 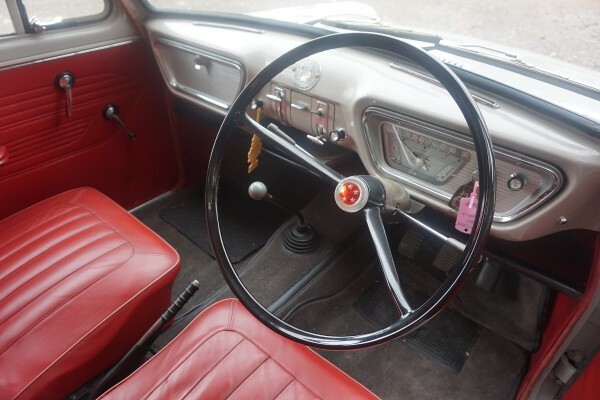 Car was resprayed over 20 years ago.